I am typing this from the conference room at work...at Virginia Tech...where I am currently on lock-down with my colleagues. My kids are on lockdown at their schools. At 12:37 we got the first alerts of gunshots on campus and what we know so far is that there have been two fatal shootings, one of which is an officer. The suspect has not been caught. We had all been gathered for a holiday lunch. It's reading day, the day off between classes and exams, so a perfect time to get together and celebrate. 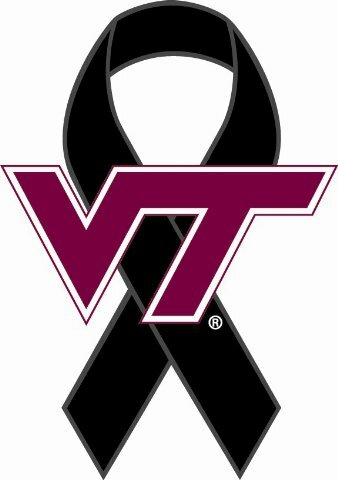 Not a good day to listen to sirens, watch ambulances go by, ask if this is really happening, and reminisce about April 16 when 32 Hokies lost their lives to a lunatic. Today, lives have been shattered, families permanently altered, and sadness now burrows ever more deeply into each of us. There is no script for what to do, how to act, how to move forward. With those gunshots, everything that seemed important immediately dropped 100 places down the list. All my complaining, the craziness, fussing about run paces, tendonitis, and whether I need a flip turn....none of that really matters. I just want to collect my kids, go home, thank God for another day, and pray for peace and healing for those affected by the events today. Such senseless violence. I do not understand.